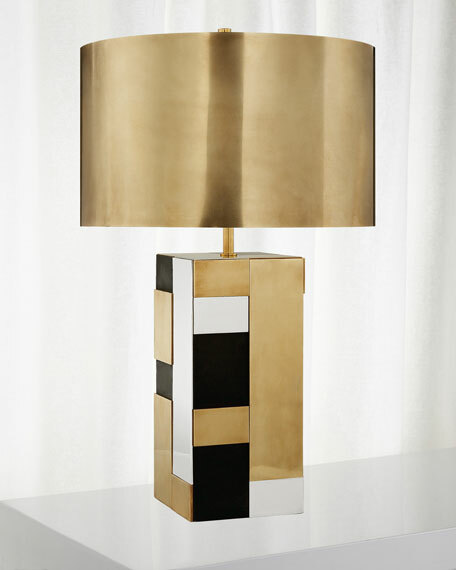 Metal table lamp with colorblock base. Shade dimensions: 17"Dia. x 10"T.